It’s almost May and maybe you are already starting to make plans for your summer vacation. Or are you going early this year and all your plans are already set? 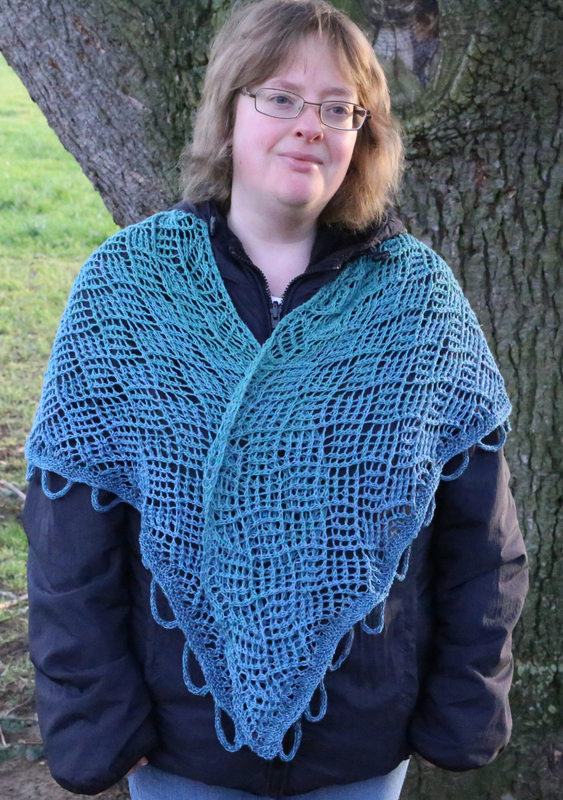 If you are still looking for the perfect beach shawl – or the perfect shawl to make you forget you’re not on the beach right now – I’ll have a surprise for you! 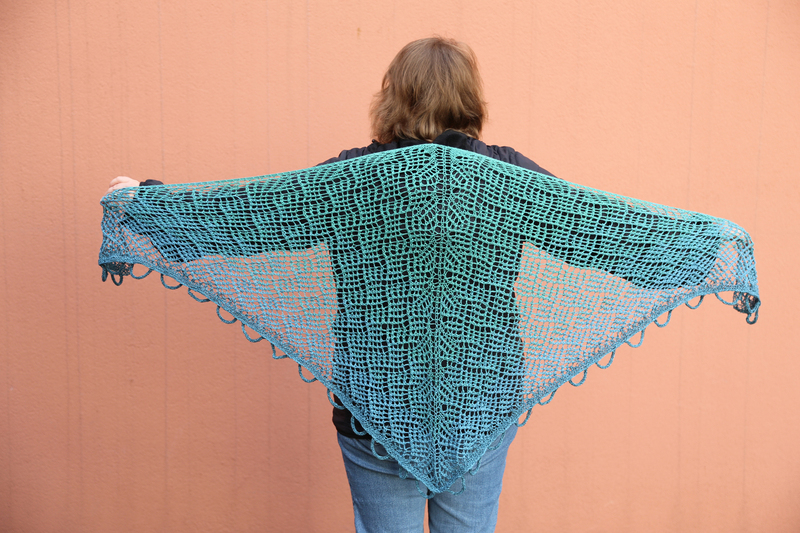 Mermaid on the Beach Shawl is available for free on the Knotions Website. Their April issue is all about shawls and it turned out awesome, go check it out! Several friends of mine are also in this issue, so I’m especially happy to be in such good company. There are two options for the border, so if you don’t want to make the i-cord rings, you can stop after the garter stitch. Knitted in Switzerland Tanja Lüscher Designs will use the information you provide on this form to be in touch with you and to provide updates and marketing. You can change your mind at any time by clicking the unsubscribe link in the footer of any email you receive from us, or by contacting us at knittedinswitzerland@gmx.ch. We will treat your information with respect. For more information about our privacy practices please visit our website https://knittedinswitzerland.ch/. By clicking below, you agree that we may process your information in accordance with these terms.